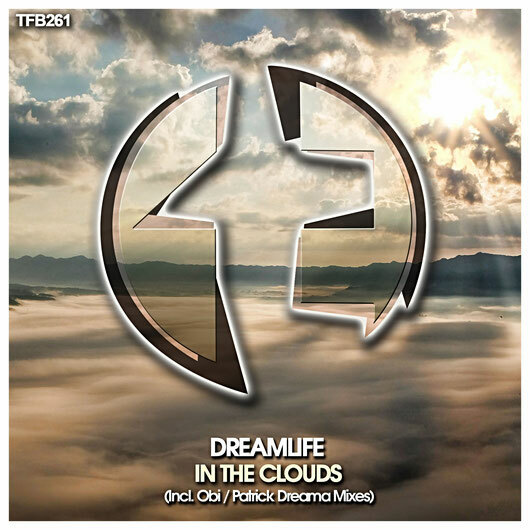 TFB Records presents its release number 261, bringing the new original song by DreamLife, 'In The Clouds'; also including two remixes by the always welcome producers Obi and Patrick Dreama. The original song shows a great Uplifting sound since its very beginning, keeping the BPM at a not so high rate, letting the main melody and the rest of the sounds to surf on top of the baseline with ease. All the different ingredients surround us, prepairing the path for the breakdown. Once we fall into this break, an unstoppable rush of emotions welcomes us taking our mind into one of the deepest journeys we have recently experienced. The level of epicness of this song is completely astonishing and, with the purest orchestral sound, the song will take our soul to the next level. If you like to feel new emotions deep into your heart, do not miss this impressive original song! Obi is the producer signing the first remix we find into this release. As he usually does, he has empowered the general level of the baseline, giving to these thick sounds a greater presence into the mix. When the breakdown is reached, everything calms down and the hidden beauty of the melody finally comes out to perform a wonderful part. Right after, the tension starts to be gathered and, together with the melody, rises quickly to explode into the climax of the song where the true Uplifting soul of this masterpiece is revealed. Obi again shows why he is one of the top producers right now with this fantastic work thata will fullfil all the needs of the Uplifting lovers! The third cut included in this release has been produced by Patrick Dreama, a producer who has bet for an even greater powerful sound for his remix. With such a gorgeous amount of energy within the baseline, a subtle bright sound arises from beneath to perform the melody. This melody soon gets all its complete essence when the breakdown comes, where ir releases its true beauty and power, becoming a leading melody with a great percentage of energy within its notes. This leading sound, help on rising the overall tension of the song until everthing collapses and the unstoppable rush of the climax floods every corner of our body. Very impressive remix by Patrick Dreama, reaching unbelievable levels of power at the same time he shows one of the finest Uplifting sounds out there!! Congratulations!